101 Woodcross Drive, Columbia, SC, U.S.A. Located a 1-minute drive from the nearest Interstate 26 on-ramp and adjacent to Lake Harbison, the Hampton Inn on the Lake at Harbison is geared towards business and vacation travellers who require a pet-friendly hotel with easy highway access, a free breakfast and an outdoor pool. Each of the hotel's air-conditioned guest rooms and suites offers free Wi-Fi, cable TV, a mini-fridge, a microwave, a free weekday newspaper, a lap desk, a desk, an iron and ironing board and a hair dryer. Rooms with a sitting area and a sofabed, a separate bedroom and a jetted tub are also available, as are wheelchair-accessible rooms. Hotel amenities include an outdoor pool, a fitness room, free bicycle rental, meeting space, a business centre, an outdoor fireplace and seating area, BBQ facilities, guest laundry facilities, free parking and a free breakfast. On weekdays, breakfast is available to-go. Pets are permitted free of charge. This hotel has a non-smoking policy. Numerous guests praised the hotel's staff. They were characterized as helpful, friendly, efficient and knowledgeable about the area. The hotel's accommodations were complimented by many reviewers. They described their rooms as clean, quiet, spacious and well appointed, with comfortable beds and linens and nice lake views. Several patrons were pleased with the hotel's location. They described it as safe, and close to Harbison Lake, highway access, shopping, restaurants, Lake Murray and Riverbanks Zoo. The hotel's breakfast was enjoyed by several lodgers, who found it to be well stocked, with a good choice of hot and cold items and a clean and large seating area. One guest remarked, "Breakfast was a cut above most 'free breakfast' locations". While the majority of reviews consulted for this analysis were positive, there were a few complaints about cigarette odours. A few guests complained of cigarette odours throughout the hotel. They reported the odours throughout the hallways (although not in the rooms), as well as the outside seating area, despite the hotel's smoke-free policy. TripAdvisor.com guest reviews ranked the hotel #5 of 91 Columbia hotels with an average rating of 4.5 out of 5 from 212 reviews. Hotels.com guest reviews rated the hotel 4.6 out of 5 from 207 reviews. Expedia.ca guest reviews rated the hotel 4.6 out of 5 with a 98% recommendation rate from 202 reviews. The author called the hotel on September 11, 2013 to verify some information. Rating: #1 out of 100 hotels in Columbia ranked by guests. Just what a business traveling looks for. "This hotel is a great example of a reliable Hampton: close to the work site I was visiting, close to the airport, easy to find, and quiet. A good night's sleep is the best part!" "The room was outstanding and the employees were well trained. We will recommend this Hampton Inn to all of our friends for future use." "The bathrooms really do need exhaust fans. Your coffee is the best I've ever had. My husband and I really enjoyed our stay." Delve into the rich heritage and natural splendor of Columbia, where history, art and culture converge in the south. The Hampton Inn® hotel in Columbia-I-26/Harbison Blvd. (Mall Area) is located near downtown, with easy access to Lake Murray and only steps from the Columbiana Centre Mall. Get in touch with nature at the Harbison State Forest, only one mile from our Columbia hotel. You will also be near natural beauty and recreation at Lake Murray and Congaree National Park, one of the last old-growth forests in the south. Our hotel in Columbia gives you easy access to the South Carolina Statehouse, featuring a copper dome and bronze stars marking where General Sherman's cannonballs struck. Behold more history at the South Carolina State Museum, the largest museum in the state, or behold masterpieces by Monet at the Columbia Museum of Art. 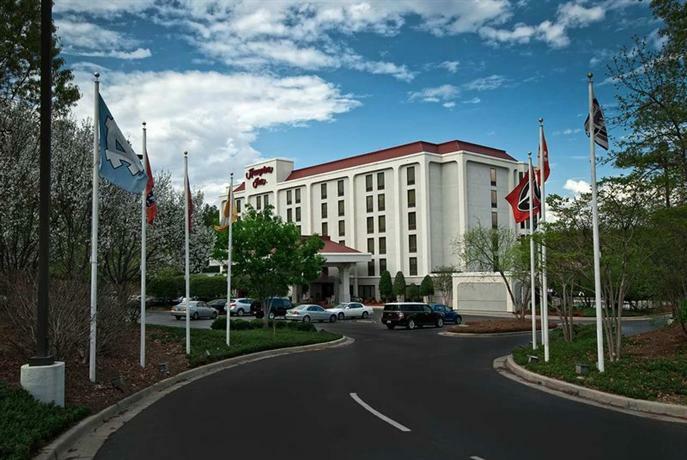 Ask the team at our Columbia hotel for more tips on the amazing attractions of this historic and scenic city.